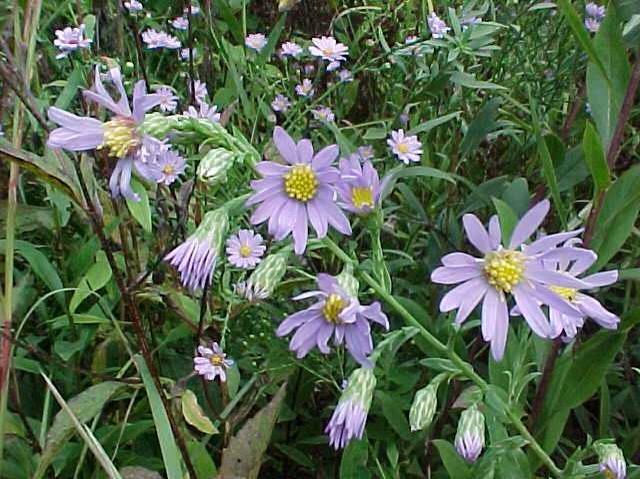 A mid-season blooming aster with smooth, bluish-green leaves and light purple flowers with a yellow center. 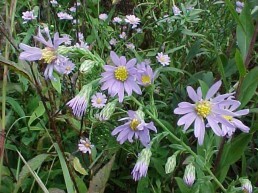 A mid-season blooming aster with smooth, bluish-green leaves and light purple flowers with a yellow center. Found in nature in dry and rocky areas. Attracts butterflies and native bees.